News flash: If you have young children at home, you’re likely to waste more food than other households, according to research by the USDA. And if you’re a parent, you can probably guess why. Kids have eyes bigger than their stomachs; one week they love milk, the next they don’t; they can be picky and squeamish; and they get full quickly. In addition to smart food strategies like making grocery lists and using up leftovers, families can take some extra steps to help their kids waste less food. 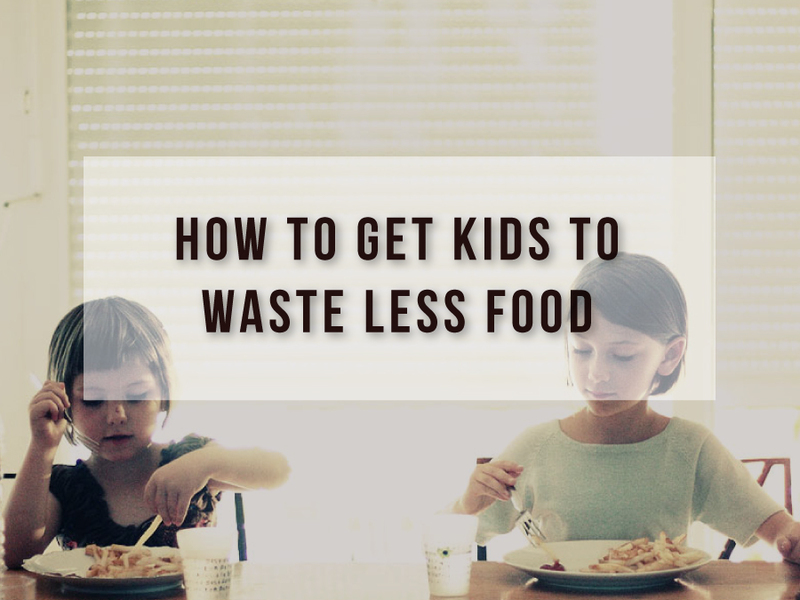 These tips will also help you save money and — most importantly — give kids the tools they need to grow up to value food, not waste it. 1. 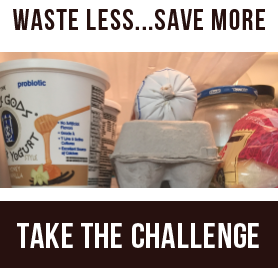 Take a family food waste challenge. Take our 6-week food waste challenge as a family. Kids will have fun measuring how much food gets wasted and coming up with ideas for how to waste less. You can even set a family goal, like reducing overall waste by 25%. If your family succeeds, you all get a reward, like a trip to an amusement park or a dinner at a favorite restaurant. 2. Plan for a week of meals. “Planning ahead not only reduces waste, it also allows busy families to make fewer grocery trips, saving time and gas,” says Aviva Goldfarb, a family dinner expert and Today Show contributor. If planning meals ahead isn’t in your DNA, check out The Six O’Clock Scramble, Goldfarb’s online family meal-planning service. It eliminates the number of decisions you need to make and takes the stress out of planning for and preparing meals. 4. Make food easy to eat. How many times have you had to toss a half-eaten banana or an apple with two bites taken out of it? Instead of offering whole fruits and vegetables, cut them into bite-size pieces. A study at Cornell University found that offering sliced apples at an elementary cafeteria increased fruit sales by 61 percent! 5. Give food funny names. 6. Get the portions right. If they are too young to serve themselves, serve young children small portions of food at meal and snack time. “They have little tummies and if you heap too much onto their plates, some of it is likely to go to waste,” says Goldfarb. Allow older children to serve themselves. Encourage them to take small portions then go back for more if they’re still hungry. “Kids will learn how to gauge their appetites and are less likely to have ‘plate waste’ because they decided themselves how much to serve up,” Goldfarb says. 7. Save what they don’t eat. If your child declares they are full before finishing a reasonable amount of their meal, save the leftovers. “Instead of having them snack on something less than wholesome an hour or two later, they can finish their meal, reducing waste and increasing the likelihood of a well-rounded diet,” says Goldfarb. Maintain a list of what lunches your child likes so you can consistently pack them. (Looking for inspiration? Check out these healthy lunchbox ideas. Pack the right portion sizes. If your child rarely finishes a whole juice box, for instance, send a smaller portion in a reusable container. Use an icepack to avoid spoiled food. Coach your kids to bring home what they don’t eat. This will allow you to see what and how much they’re eating, and reuse, within reason, parts of their lunch that weren’t eaten. Involve kids in lunch-packing. If they have a hand in making their lunch, chances are they will be more likely to eat it. 9. Pack smart travel snacks. One of Goldfarb’s tricks it to pack up foods that need to be eaten — like a sleeve of crackers about to go stale or bananas about to turn brown — for the family to snack on when out on errands or traveling in the car. When there are few or no other options, those snacks are much more likely to get finished. 10. Teach kids about food. Visit a farm to learn about crops and animals. Plant a garden or even a few window herbs together. Plan meals you can cook together. Discuss the cost of different foods at the grocery store. Explain what happens to the food when we throw it away. While you may need to make some minor changes in your routine to reduce the amount of food you’re wasting, with a little commitment and focus, the suggestions above are very doable. If you’d like a little inspiration to get you started with meal planning — one of the most important habits for preventing food waste — check out this sample menu from The O’Clock Scramble’s online family meal planning service.